Sport offers many opportunities to learn and grow, and this is as true of wheelchair tennis as it is of any other sport. 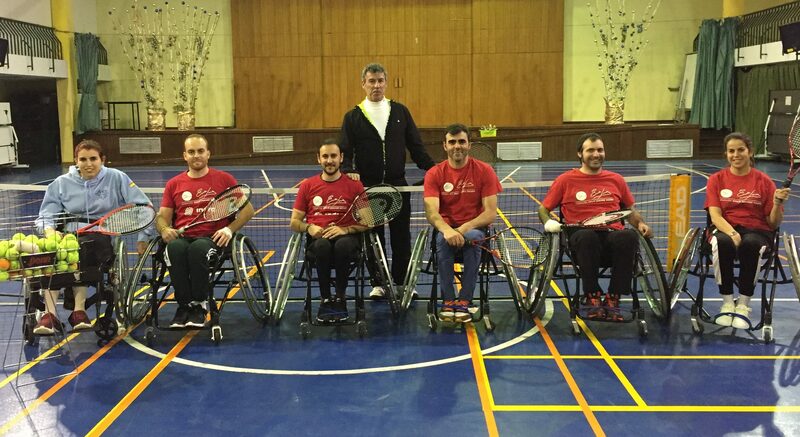 Jesus, Juan, Jennifer, Rocio and Domingo are patients of the National Hospital of Paraplegics in Toledo and they attend the Emilio Sánchez Vicario Foundation wheelchair tennis school as an important phase in their recovery. Wheelchair tennis presents a demanding challenge for all of them, but it has it’s rewards. “I’ve always liked sports a lot, and when I got injured, I knew I wanted to continue practicing, so I chose tennis,” says Jesús. Juan Diego shares that feeling: “I did not want to stop doing sports, and they told me about the benefits of playing tennis in a wheelchair, to strengthen the upper body and the limbs. Playing tennis helps you do more activities by yourself on a daily basis”. Jennifer has always been a sporty person, and she tells us that “playing wheelchair tennis is a challenge, but I have found that when I play sports, the neuropathic pains and cramps go away”. Rocio, who already played tennis before her injury, points out that “I play because it is a very good combination of chair, ball, arms, and racket. It´s helping me a lot with both my cross-lateral injury and dyslexia”. Domingo remarks that “I used to play sports, and when I had the accident, I began to see that tennis is a very active game; It gives you a lot of mobility and helps develop a lot of strength in the upper body”. The testimonies of Jesus Rios Gentil, Juan Diego Romero Conde, Jennifer Fernandez Nuñez, Rocio Fumanal Villa, and Domingo Rivera Trujillo are personal stories of those that have found motivation through tennis, despite difficult times. It has been seven years since the Emilio Sánchez Vicario Foundation began its project in the National Hospital of Paraplegics (January 2012). 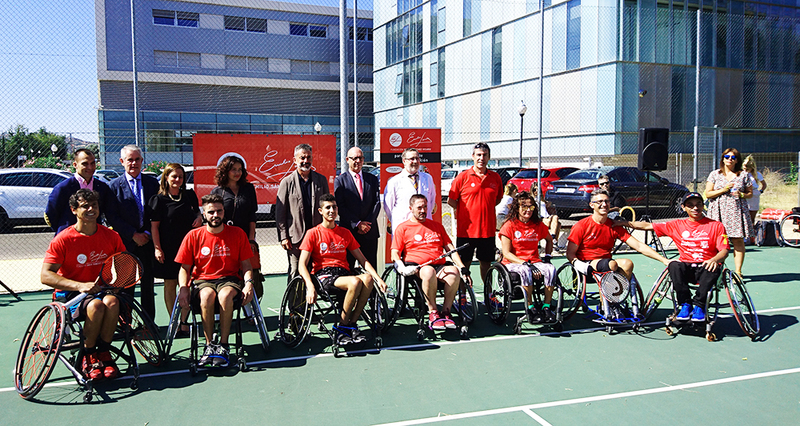 It has an on-site tennis court, thanks to the support of Mutua Madrileña Foundation. The Wheelchair Tennis School is directed by Francisco de Asis, and has helped a total of 320 patients, or an average of 50 – 60 people a year. This entry was posted in Tennis and tagged 21 Succesful Habits, Emilio Sanchez, Fundación Emilio Sánchez Vicario, Sánchez-Casal Academy, Sánchez-Casal stories, Tennis, tennis academy, Tennis players. Bookmark the permalink.